V's manuscript is deliberate, to convey the lyrical, melodic speech of the Swabians. Mrs. Koehler hopes the book will inspire others to do more research on the history of this little known ethnic group, especially as related to the tragic aftermath of WWII with mass expulsions, deportations and liquidation of thousands of Ausland Germans. Passing the Torch . . . Many thanks for your kind remarks about my book. You are among the very few of 100s of readers who understand the pulse of the narrative. Your appreciative comments mean a lot. I purposely wrote it to evoke interest and emotion so that the survivors and eyewitnesses would write their own stories. Many did and I am gratified. We are calling you the Margaret Mitchell of the Donauschwaben since you are an Atlanta girl, and as I said in one of my letters by post: I pass the torch to you and other youngsters very busy with their valuable internet sites. Hallelujah, perhaps I lit the candle after all. 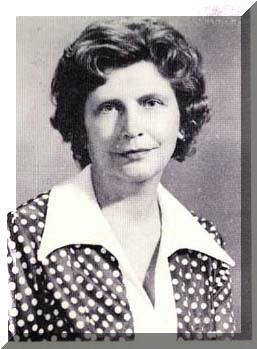 "SEVEN SUSANNAHS: DAUGHTERS OF THE DANUBE"
By Eve Eckert Koehler, Published in 1976 by the Danube Swabian Societies of the U.S.A. and Canada to commemorate America's Bicentennial. Bicentennial (1st printing February 1976, 2nd printing June 1977, Cedarburg, WI). Printed by Schmidt Bros. Printing Co., Inc., Milwaukee, WI. 85 Pages, soft cover. B&W photos, other illustrations, music scores, bibliography, map printed inside covers. Library of Congress Catalog Number: 76-358978. 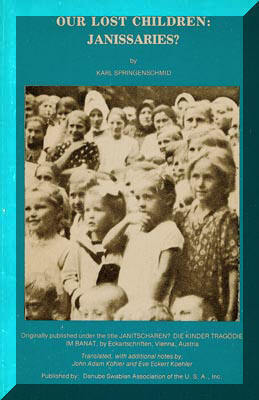 Cover was created by Adam Koehler, Sr.
Mass kidnapping by Communists of 20,000 children of ethnic Germans from Banat. Translation published by Eckartschriften, Vienna, Austria, from German by John Adam Koehler and Eve Eckert Koehler under the title 'Our Lost Children: Janissaries?' (87 p.). 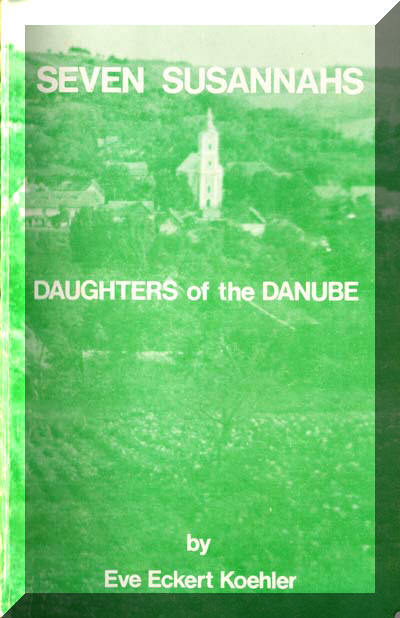 The English edition was published in 1980 by the Danube Swabian Association of the U.S.A., Inc. Copies may be available from the University of Wisconsin - Milwaukee (where Ms. Koehler worked), through antiquarian sources, or via Inter Library Loan; or with luck, doing an internet search. On the front page of the local section THE WINDSOR DAILY STAR in 1944 . . . 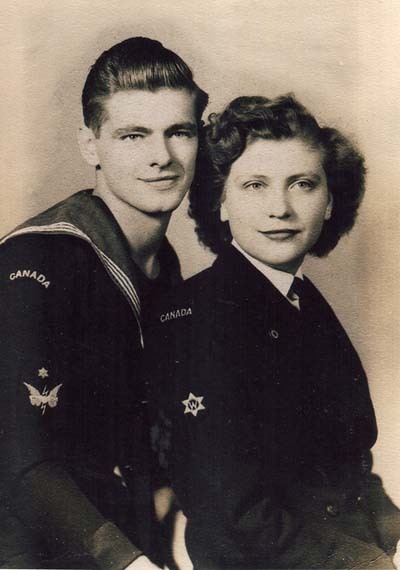 The caption said: ADAM AND EVE IN THE NAVY and gave our name and address underneath stating we were on leave with our parents Adam and Susannah Eckert. 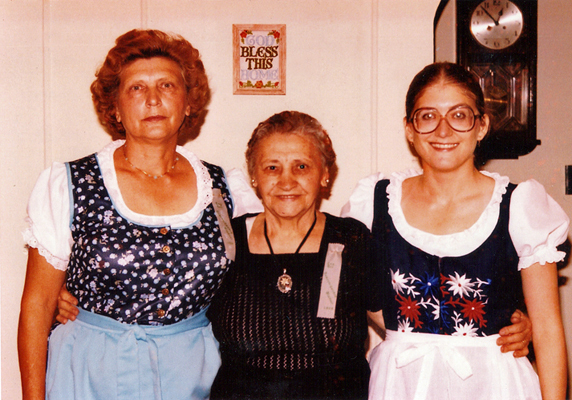 At the September 1980 International Convention Danube Swabian Societies . . . Susannah VII, Eve's daughter, sang the U.S. and Canadian National Anthems to the 3,000 assembled on the parade ground. It was her happiest day to hear the applause and be greeted with hugs and kisses. Treaty of Peace Between The Allied & Associated Powers & Hungary & Protocol & Declaration, Signed at Trianon June 4, 1920). We now have as part of our collection a wonderful map of the German Settlement Areas in Historical Hungary, and how the territory was split up after the Treaty, with special permission to republished this map by creator John Koehler, Sr., Eve's son.